A metro Detroit mother says her 2-year-old’s severe medical disorder has been devastating. 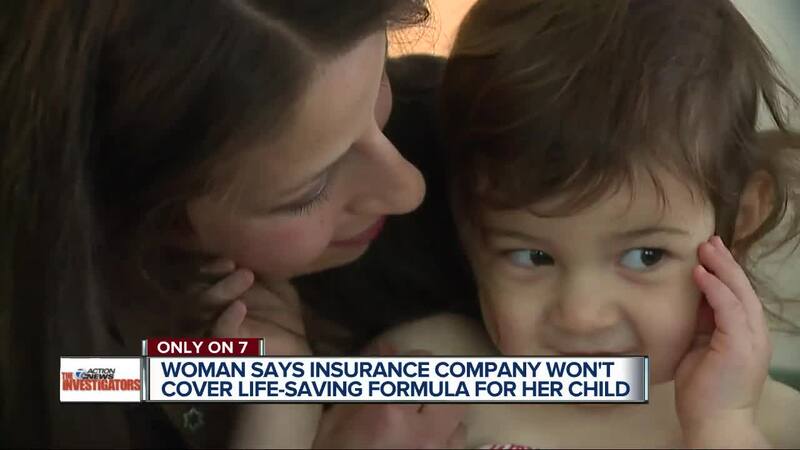 Even worse, she says Health Alliance Plan has refused to cover a crucial formula her daughter’s needs. For 2-year-old Abby Bortnick, the food you would find in the refrigerator is dangerous and could cause serious health complications. Her mother says it’s part of the reason she’s been in a battle with the health insurance company, for more than a year.